In 2001, Congress charged each state and territory with developing a statewide Comprehensive Wildlife Conservation Strategy (State Wildlife Action Plan) in order to strategically invest federal funds provided through the Wildlife Conservation and Restoration Program and the State Wildlife Grants Program. The goal of State Wildlife Action Plans (SWAPs) is to conserve fish and wildlife and their vital habitats proactively before they become more rare and costly to restore. 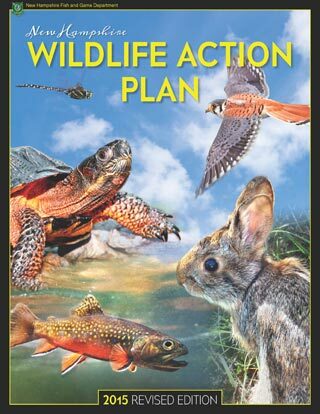 By October 2005, all states and territories completed their initial Wildlife Action Plans and submitted them. Each plan was ultimately approved by the Director of the US Fish and Wildlife Service. This was an historic accomplishment for our national conservation community. SWAPs are required to be reviewed at least every 10 years. In preparation for 2015 revisions, states in the Northeast worked together to enhance the consistency of their plans and facilitate regional coordination in the future. The Northeast Regional Conservation Synthesis for State Wildlife Action Plan Revisions produced a report (newly revised for 2016) synthesizing the regional science products that had been produced in the intervening decade was prepared to assist SWAP Coordinators in incorporating this work in their plans. In addition, a lexicon describing data structures and formats for the 8 required elements was also developed by the Northeast Fish and Wildlife Diversity Technical Committee. An executive summary of the newly revised report is also available. The SWAPs that have been revised are now available to the public and are being reviewed by the US Fish and Wildlife Service. Collectively, the plans identify more than 12,000 species of greatest conservation need, their habitats, key threats, and the actions needed to conserve wildlife. SWAPs use the best scientific information available and involved thousands of the nation’s experts on fish and wildlife conservation. States have drawn on the expertise of federal, state, and local agencies, as well as private conservation organizations and citizens including farmers, ranchers, and business owners. Viewed as a whole, these plans lay out what is needed to prevent future endangered species listings and to keep common species common. The plans provide an ongoing basis for a national program for conserving the nation’s fish and wildlife. Links to the available State Wildlife Action Plans for the 13 states in the US FWS Northeast Region, plus the District of Columbia, are included below. Links to both each state's information page on the SWAPs, as well as direct links to the action plans as PDF documents for download, are included as available. These plans are still under review by the US FWS and may change. When plans are finalized, a note will be added to this table as we receive that information.